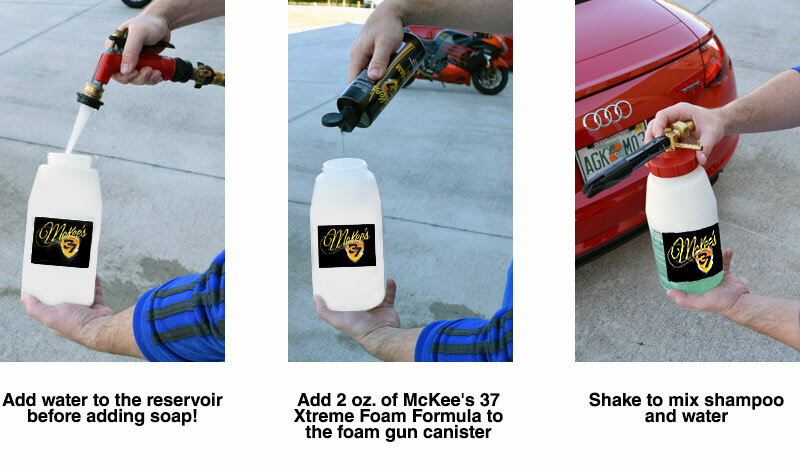 Enjoy a safer, sudsier wash with the McKee's 37 Half GallonFoamaster Foam Gun! The McKee’s 37 Half Gallon Foam Gun Kit has everything you need to make your car washing routine easier than ever before. Simply add some McKee’s 37 Xtreme Foam Formula to the Foam Gun for the simplest, safest, and most effective way to wash your vehicle. Once your car is clean, treat it to McKee’s 37 Trademark Extender Spray Wax to boost gloss and add protection. The McKee’s 37 Half Gallon Foam Gun Kit is ideal for detailers of all skill levels and is an incredible value. McKee's 37 Xtreme Foam Formula, 16 oz. McKee's 37 Xtreme Foam Formula is a high yield foaming auto shampoo that bursts into mounds of suds when introduced to water and agitated. The bubbles work to encapsulate oily residue and dirt even before your mitt touches the paint. This rich foam - combined with our own advanced cleaning agent- leaves your vehicle looking and feeling fantastically clean and bright. When blasted through a foam gun, McKee's 37 Xtreme Foam Formula is at its best because it's the only car shampoo formulated for foam guns. McKee's 37 Trademark Extender Spray Wax, 16 oz. 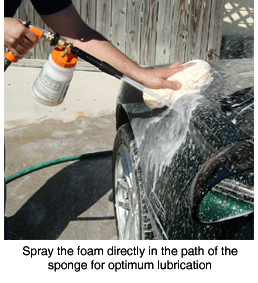 Fans of McKee's 37 Car Care Products will love the McKee's 37 Half Gallon Foamaster Foam Gun. 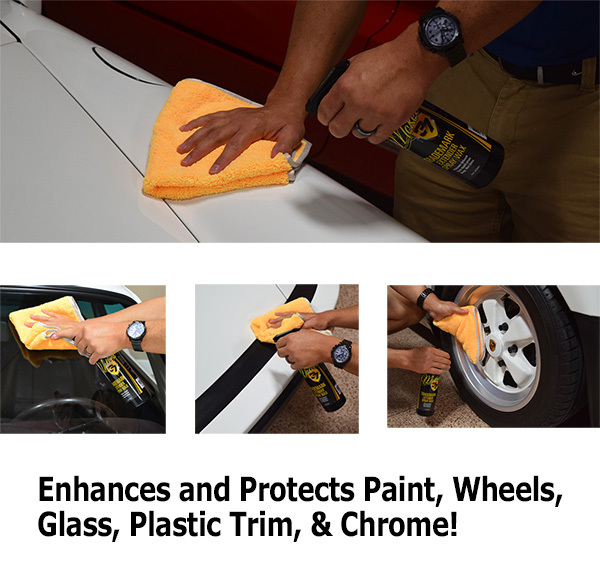 With brass fittings and a red and black nozzle, the McKee's 37 Half Gallon Foamaster delivers a thick layer of foam to your vehicle to give the paint maximum lubrication as you wash. The reservoir features the trademark McKee's 37 logo to match your collection of McKee's 37 Car Care Products! I recommend using McKee's 37 Xtreme Foam Formula Auto Shampoo in the Foamaster Foam Wash Gun. This shampoo is literally made for the foam gun with hyper-foaming cleansing agents and rich lubricants.As always, use a paint-safe wash tool such as a Cobra Micro-Chenille Wash Mitt. Total retail value of $124.97. You save 34.98! Pros:Easy to use. Cleaners in kit work well.